characteristic tactile feel, these large-dimensioned luminaires speak to all our senses and simultaneously improve the room acoustics. 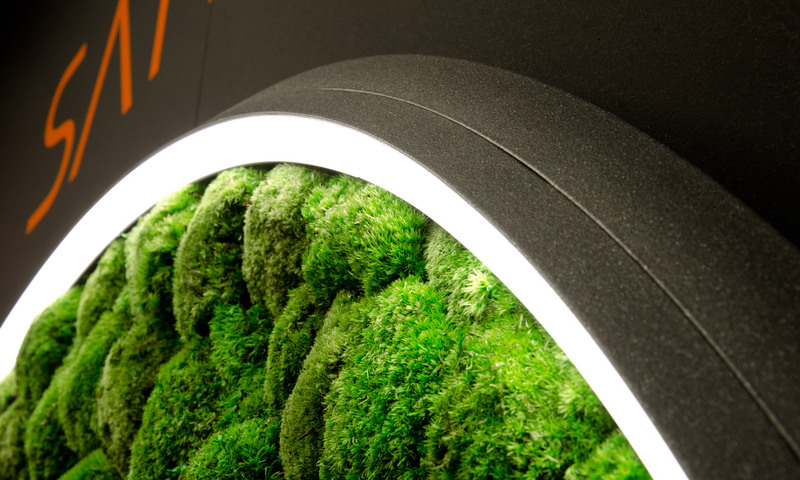 The ANELLO luminaire with a diameter of 2000 mm and a flat 46mm profile captivates by its homogeneous illumination and the large-scale green areas in the inner part of the ring luminaire. 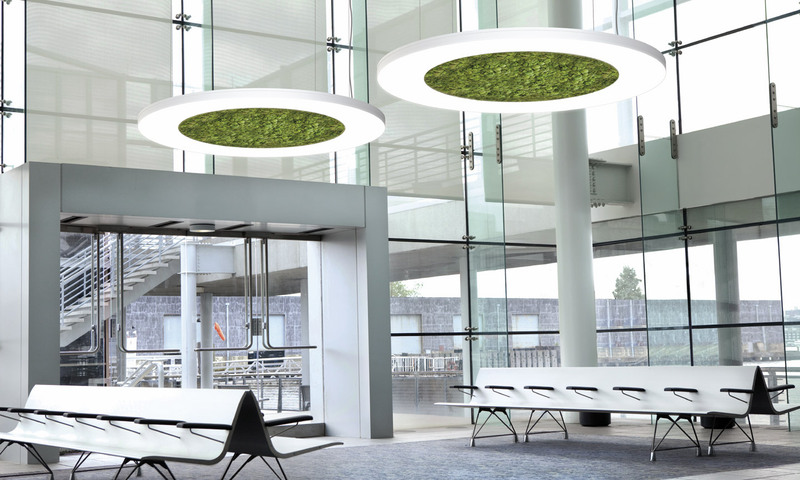 ANELLO lends an individual flair to any environment, be it a shop, a lobby or a reception. In the 45 mm height even flatter SLIM version, with a diameter of 1300 mm, the light is slightly deflected by 45 ° rotated profile obliquely downward.